Noel St. Jean-Chevalier makes dance happen. She holds her BA in Dance and Biology from Goucher College and has studied at schools and festivals throughout the US and England. Currently, she is Assistant Director/Lead Instructor for Ascendance Inner World Arts in Florence, MA. She is also on faculty at Elms College and a frequent guest artist at local schools including The Loomis Chafee School, and The Williston Northampton School. Additionally, her work has been commissioned by Shadows Dance Art Experience, The Holyoke St. Patrick’s Day Parade and the NCAA Elite 8 Dance Team. As a dancer for Eclipse Dance Company for over 13 years, Noel performed in concerts and festivals throughout the Northeast. In developing her company, The Legible Bod(ies), Noel has created a space in which to create original multimedia works based on her personal research. This work has been shown at the Southern VT Dance Festival, HATCH Presenting Series, Boston Contemporary Dance Festival, 5×5 Dance Festival and Art Walk Easthampton/The Mill Arts Project. 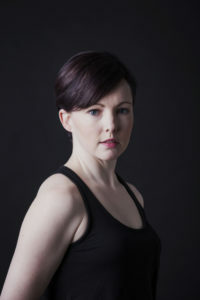 Through her work, Noel strives to broaden community appreciation for dance by developing uniquely relatable performance art harnessing the individual talents of her performers.